Detroit is on the move and could use your talent to help grow companies in our great region. 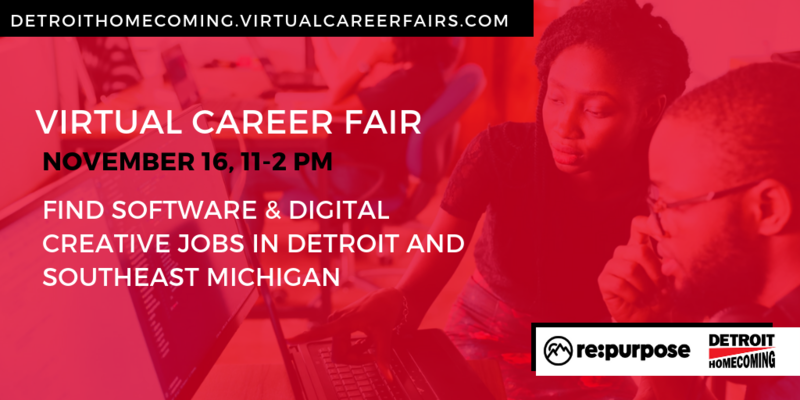 On Friday, November 16 from 11 am – 2 pm, you and other professionals will have the chance to explore numerous job opportunities – right here in Detroit and Southeast Michigan – from more than 15 companies. Participating is easy. Simply register for an account and provide some details about yourself. On the day of the event, login and you’ll be able to: have a live online chat conversation with company hiring managers; learn detailed information about the work culture in the city; and be directed by company representatives to specific online job postings.